EXCLUSIVE MUSICAL THEATER BALLAD CASTING WORKSHOP opportunity with award-winning casting director Jen Rudin, legendary Broadway vocal coach Bob Marks and BONUS hour with New York's #1 headshot photographer Douglas Gorenstein. Now more than ever, young actors need a ballad song ready to sing for auditions. The ballad can be a musical theater ballad or power pop ballad. LIMITED to 10 participants only (ages 10 to 17) to ensure quality time for feedback on vocal performance and ballad song choice. Song choice sent to you when you register. YOUNG ACTOR CAN CHOOSE WHICH SELECT A SONG SHOWS THEM OFF BEST. Headshot Information Panel with New York’s #1 voted headshot photographer Douglas Gorenstein and Jen Rudin for parents and students. Edited, professional video of the final performance of the song to be emailed to each participant following the workshop. $100 gift certificate (valid for 6 months from workshop date) to be used towards a headshot session of your choice with Douglas Gorenstein Photography. 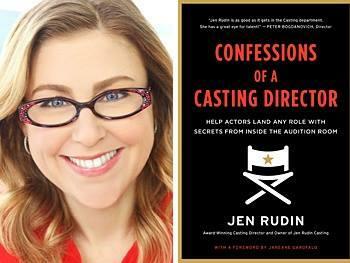 CONFESSIONS OF A CASTING DIRECTOR book sale and signing with author Jen Rudin. JEN RUDIN is an award-winning casting director and author of Confessions of a Casting Director: Help Actors Land Any Role with Secrets from Inside the Audition Room. She began her thirty-year career in show business as a child actor at age eight. As a casting executive at the Walt Disney Company, Jen conducted extensive talent searches all over the United States, identifying and hiring actors who went on to star on Broadway in The Lion King, Mary Poppins and The Little Mermaid and in beloved Disney movies like The Incredibles, The Princess and the Frog, Chicken Little and Brother Bear. Her company, Jen Rudin Casting, casts projects in New York and Los Angeles. Recent films include Rock Dog starring Luke Wilson and Eddie Izzard, and the upcoming Age of Sail for Google Spotlight. 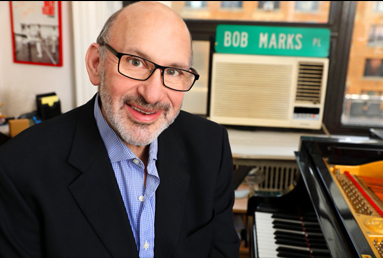 BOB MARKS is a voice teacher, coach, conductor, arranger, and director, specializing in helping singers show their talents off to their best possible advantage. He works with singers of all ages, from absolute beginners to celebrities, and recently taught his 90,000th private session in his New York City studio. Bob has coached cast members of almost every current Broadway musical, and former students have included Laura Bell Bundy, Kerry Butler, Deborah Gibson, Ariana Grande, Nikki M. James, Ricki Lake, Constantine Maroulis, Lea Michele, Sarah Jessica Parker, Natalie Portman, Christy Carlson Romano, Lea Salonga, Jamie-Lynn Sigler, Britney Spears, and Ashley Tisdale. He holds a degree in speech and voice pathology and has taught at the American Musical & Dramatic Academy and the Weist-Barron School in New York. He has been Special Guest Instructor at the Contemporary Commercial Music (CCM) Vocal Pedagogy Institute at Shenandoah Conservatory in Virginia, The New York Singing Teachers' Association (NYSTA) Professional Development Program at Columbia University, The Voice Foundation Symposium: Care of the Professional Voice, and at NYU's Steinhardt School of Education. He has given workshops, master classes, and seminars internationally. His articles have appeared in several publications, including the internationally recognized Journal of Singing. 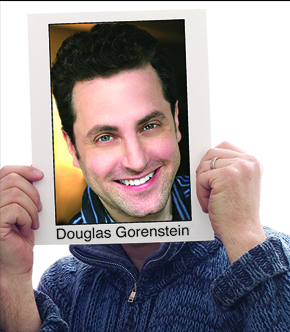 DOUGLAS GORENSTEIN was voted "Favorite New York Headshot Photographer" in BackStage.com. He served as the official photographer for The Tonight Show Starring Jimmy Fallon where he photographed virtually every major star on the planet. Next time you are at the grocery store pick up a pint of Ben & Jerry’s Tonight Dough ice cream to see the headshot Douglas took of Jimmy Fallon that appears on the carton. For 20 years Douglas has taken amazing acting headshots for kids, teens, and adults at his beautiful NYC studio. His clients have appeared on Broadway, in major films and TV shows, and national commercials. He's proud to be the headshot photographer for Jen Rudin and Bob Marks. Douglas also loves working with actors who are just starting out to make sure they have headshots that get them noticed! This special event will sell out so book your child's spot now.